My "Ouchies" Collection is yet another in this series! Life is full of all sorts of bumps and bruises, isn't it? From broken bones to chicken pox we have all experienced times of mending or healing and this kit is perfect to document those moments. 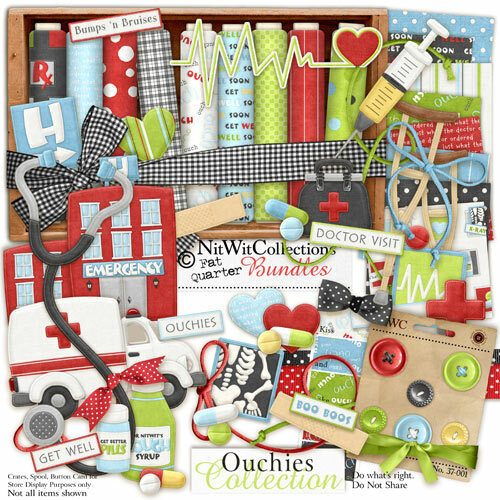 My Ouchies collection is just what the doctor ordered for all those doctor's visits, vaccinations, stitches, or simply cold and flu season moments! Remember laughter is the best medicine!